Fixing a meal with vegetables that you grew on your own is highly satisfying! It's even more exciting is when you can begin to make a profit with the vegetables that you grow in your own backyard. Although growing a garden for beginners may seem intimidating, it’s really not. And there are a variety of reasons that you should. In fact, once you get started, you’ll wonder what took you so long! Fresh food is expensive! Especially when it is driven in from hundreds of miles away. Being able to grow your own vegetable garden is much more affordable than buying at the grocery store. Plus, stores have to charge more to account for the waste that happens when they don’t sell some of their food and have to throw it away. When you have your own garden you simply pick what you need, when you are ready to eat it or sell it, and there doesn’t need to be any waste. Grocery store food is grown so quickly and with so many unnatural boosters that many fruits and vegetables today are white in the middle instead of the color they are supposed to be. Growing food in your own backyard allows you the assurance that your food is fresh and grown completely naturally. Without any chemical additives or boosters, you can be confident that the food you are eating has everything you do want, and nothing you don’t. When you grow your own vegetables, it’s so easy that you might as well make it worthwhile for yourself by making a profit. 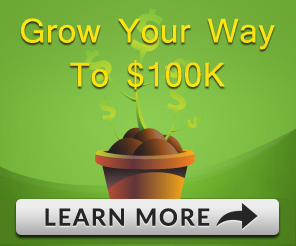 With a proven plan, such as Seed to Cash, you can start out as a beginner with a plot as small as 100 square feet. With the ability to earn $200 in two weeks, or up to $26,000 during a summer season, you could give pocketbook quite a boost! 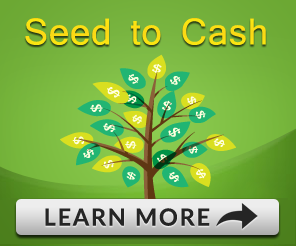 Even if you are just a beginning gardener, with a plan like Seed to Cash, you’ll have everything you need to get started: the seeds and the plan. With the ability to eat fresh, healthy food, that affordable, and the added bonus of being able to make a profit, there’s simply nothing to keep you from turning that spot in your backyard into a garden!